This Hridaya Silent Meditation Retreat is held at Kamala Yoga and Meditation Centre, a retreat center whose lovingly supportive and beautiful atmosphere mirrors the gorgeous surrounding hills and forests of San Petru. Participants may enjoy walks in nature during meal breaks as well as peaceful rest and true Stillness in the quiet countryside. The course is suitable for beginners as well as advanced practitioners. 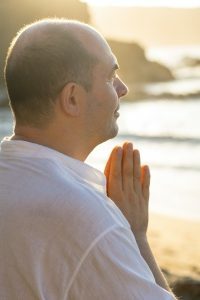 If desired, beginners may choose to participate in just the first 5 days of the retreat. The retreat is offered in English with Romanian translation, if needed. 16:00 – Hatha Yoga session and practical recommendations for the retreat. We strongly recommend participation in this yoga and meditation session, even for those who have participated in other Hridaya Retreats. 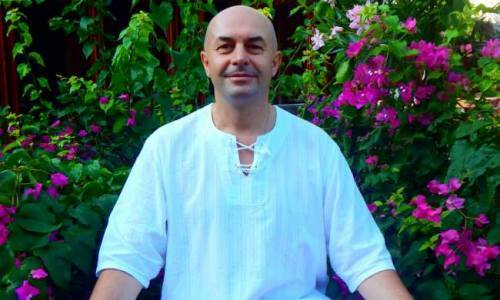 19:00 – Guidelines, principles, and the first lecture and meditation with Sahaja. All administrative details will be resolved in the evening of the 4th, so when the retreat begins on the 5th the following 5 or 10 days will be exclusively devoted to meditation and interiorization. Those who want to participate only the first 5 days will leave on August 10th. For the rest, the end of the retreat will be on August 14th, after the afternoon meditation and sharing session. On August 15th, there will be a last meeting for meditation and questions and answers, then we will have lunch and the participants will depart. On August 16th, there will be a spiritual trip around Brasov for meditation and yoga in nature. If you are interested, please ask for information.